By John W. Cobb, Jr.
IRELAND, W.Va. – With 11 counties in West Virginia projected to be affected by the Mountain Valley Pipeline (MVP) route should it receive approval, voices from one end of the state to the other must be heard. The West Virginia Department of Environment Protection (WVDEP) needs to hear from citizens while there is still time. The potential impacts to water supplies (aquifers), streams, wetlands and rivers is significant; therefore citizens need to write the WVDEP to request public hearings in the affected counties. So far, such requests are working. The WVDEP Division of Water and Waste Management (DWWM) will be extending the public comment period on the State 401 Water Quality Certification for the proposed MVP project until further notice. It takes only a few minutes to send them a letter or email requesting a public hearing in your county so you can learn and get answers to your concerns. Originally, the public comment period, which is required under state regulation 47CSR5A, would have ended next week, but because of widespread public interest in the proposed project, DWWM will be scheduling public hearings to discuss certification of the proposed project. Information about the dates and locations of those hearings will be made public as soon as plans are finalized. The WVDEP says they will likely prioritize holding public hearings based on the counties generating the most comments. For now, those are from Greenbrier, Monroe and Summers counties. We need more folks along the MVP Route to respond now. We need to help get the word out to folks further up along the proposed route, including Wetzel, Doddridge, Harrison, Lewis, Braxton, Webster, Nicholas, and Fayette counties. 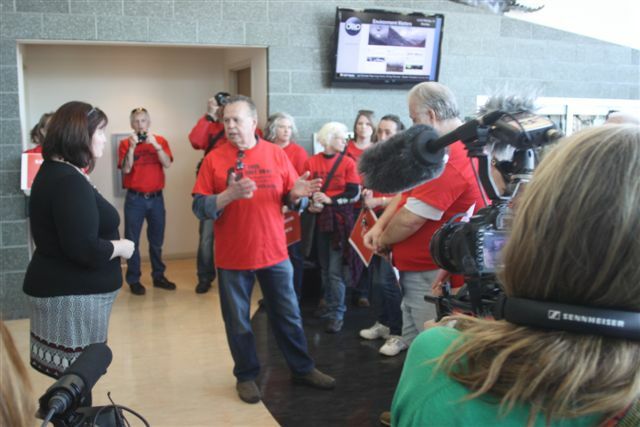 Every citizen along the route needs reasonable access to public hearings. By writing the WVDEP, it will increase the chance that no citizen will be left out. The Mountain Valley Pipeline is a $3.5 billion project, developed by EQT Corp., and it involves a 42-inch-diameter pipeline that would run 301 miles south from the Equitrans L.P. transmission system near the MarkWest Energy Mobley Complex in Wetzel County to a Transcontinental Gas Pipeline Co. compressor station in Pittsylvania County, Virginia. This project is one of multiple pipeline projects currently under review by the Federal Energy Regulatory Commission (FERC) one of the other projects is the Atlantic Coast Pipeline that will run somewhat parallel and north of the Mountain Valley Pipeline. When issuing certification, DWWM’s 401 Certification Program may consider the proposed activity’s impact on water resources, fish and wildlife, recreation, critical habitats, wetlands and other natural resources. In its 401 certification application, EQT anticipates that the MVP project will have temporary impacts to approximately 49,892 linear feet of streams and 18.9 acres of wetlands and permanent impacts to approximately 3,125 linear feet of streams and 10 acres of wetlands within the Mountain State. Responding now with a request for a public hearing in your county will give you and your neighbors a chance to express your concerns to the West Virginia’s Department of Environmental Protection. (C) John W. Cobb, Jr., 2016. Mr. Cobb writes from his home in Ireland, W.Va. Note: The original version of this article listed 12 counties. The correct number is 11. We regret the error. CHARLESTON, W.Va. – On January 9, 2014, at about 10 a.m., fire departments in Kanawha County, the home to West Virginia’s state capital, were dispatched to two locations because reports of a “chemical odor” were being called in by citizens. It was at least four hours before emergency response officials realized they had a major public health and ecological crisis on their hands – the water for 300,000 people served by the Elk River was unsafe for human use. 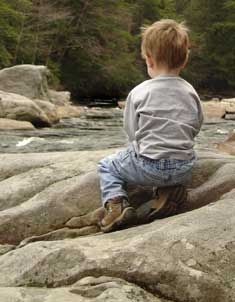 A child enjoys the wonder of a Wild West Virginia river. It wasn’t until about 2 p.m. that Mike Dorsey, the emergency response coordinator for the West Virginia Department of Environmental Protection (WVDEP), determined that the release of the coal-mining cleaning chemical 4-methylcyclohexane methanol (MCHM) at a site owned by Freedom Industries along the Elk River had reached the water intake of the West Virginia American Water Company. At the time, the West Virginia legislature had just convened, so, it wasn’t long before legislation was passed and then signed by Governor Earl Ray Tomblin. 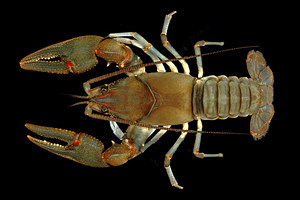 The law was designed to protect the drinking water of the state’s citizens as well as water for other essential uses, including farming, the aquatic life so valuable to the ecology of our watersheds, and the intrinsic value it offers people in the form of hiking, fishing, kayaking and more. Elections have consequences, however, and with the Republican-led House and Senate majority elected by Mountain State residents last November championing their “pro-business” agenda, public health and ecological concerns became subordinate to business interests. So, with the single stroke of a pen on March 27, Governor Tomblin acquiesced to the Republican leadership and, with his signature of Senate Bill No. 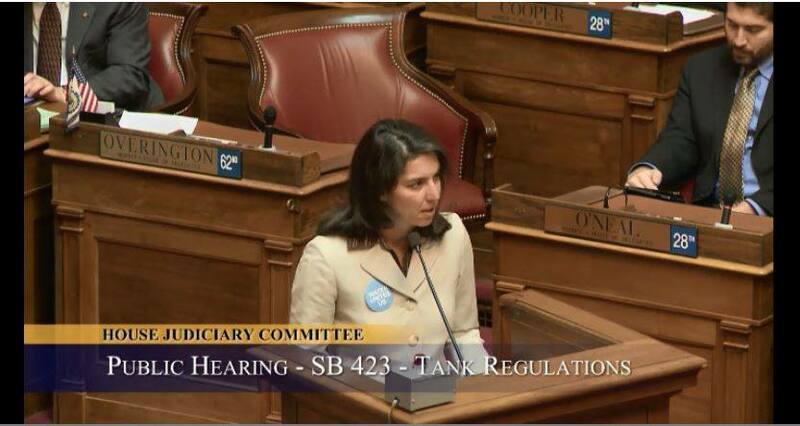 423, enacted the severely amended Aboveground Storage Tank Act into law. The bill’s chief sponsor was Senator Mike Hall, a Republican representing District 4. Other sponsors were: Republicans Craig Blair and Charles Trump IV, representing District 15; Republican Mitch Carmichael, the other senator representing District 4; both senators from District 12, Democrats Douglas Facemire and Mike Romano; Democrats Art Kirkendoll and Ron Stollings, representing District 7; Republican Jeff Mullins, representing District 9; Democrats Robert Plymale and Mike Woelfel of District 5; and, Bob Williams, a Democrat representing District 14. Contact information for the senators can be found here. Sandstone Falls on the New River near Hinton, W.Va.
District 4 borders the Ohio River; District 5 also borders the Ohio River; District 7 includes a large portion of the southwestern coalfield counties; District 9 includes coal-producing Raleigh and Wyoming counties, as well as a small slice of McDowell County; District 12 stretches from Harrison to Clay counties and includes significant gas and oil interests; District 14 includes several northeastern counties, and District 15 is in the eastern panhandle. District maps can be seen here. While Tomblin is term-limited and cannot seek re-election in 2016, senators have no term limits on their four-year terms. Elections for senators are staggered, with one from each district elected in alternating electing cycles. 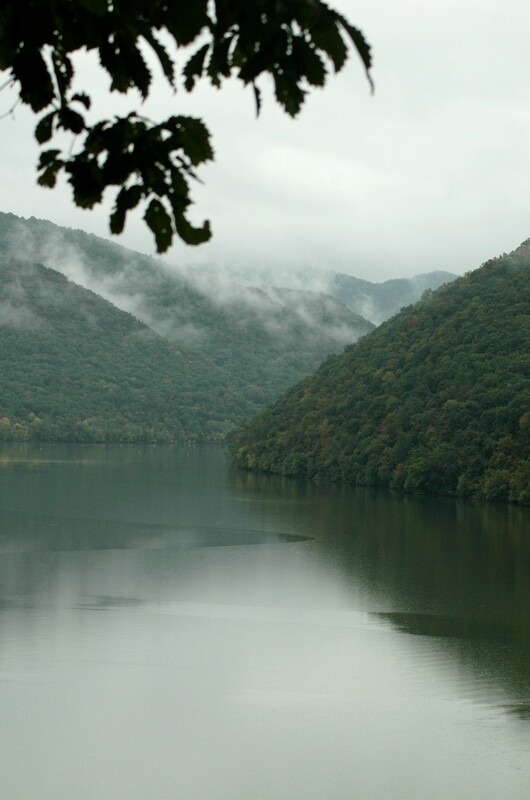 The law further states: “The West Virginia Legislature finds the public policy of the State of West Virginia is to protect and conserve the water resources for the state and its citizens. The state’s water resources are vital natural resources that are essential to maintain, preserve and promote human health, quality of life and economic vitality of the state. West Virginia Rivers Coalition Executive Director Angie Rosser speaks before West Virginia legislators about the Aboveground Storage Tank law. 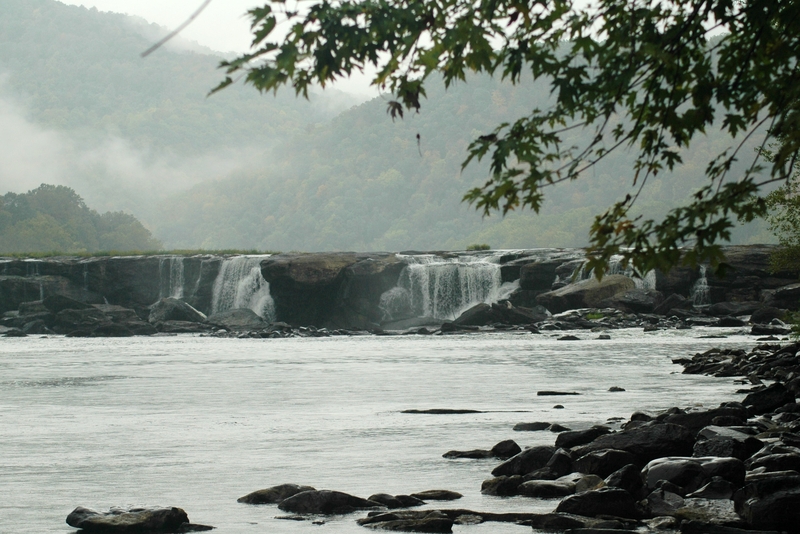 Angie Rosser, the executive director of the West Virginia Rivers Coalition, spent much of the legislative session working to preserve the original bill’s language, intent and purpose. While some protections remain in place, Rosser points out that there are several provisions in the amended law that severely weaken its intent and enforcement. Specifically, she points to the reduction in the number of storage tanks that require an inspection; the lack of oversight of wells, watersheds, and groundwater; allowing companies to keep secret as “proprietary” the composition of hazardous materials and waste; allowing the West Virginia Division of Homeland Security and Emergency Management to declare certain chemicals, policies and procedures free from public scrutiny; concerns about interagency cooperation; and, a provision which allows the Secretary of the WVDEP to grant exemptions to the law’s reporting requirements. 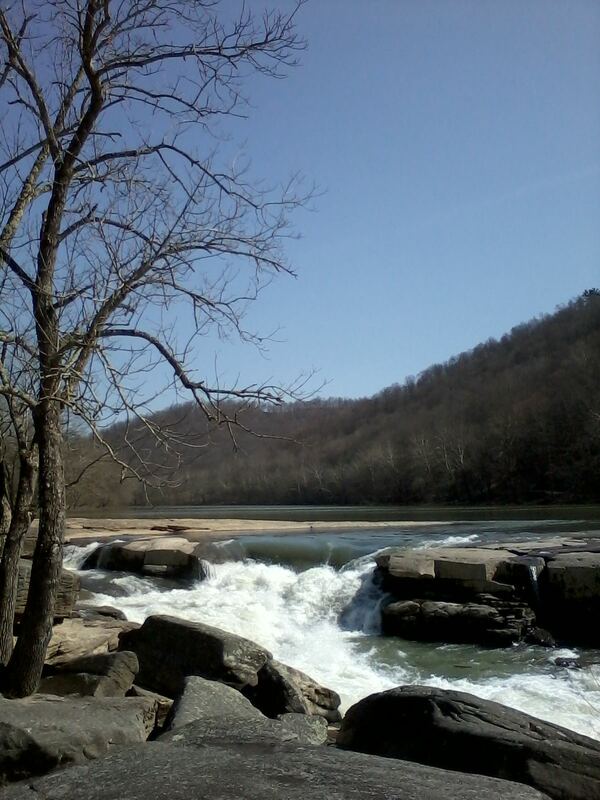 The Tygart Valley River at Valley Falls State Park on the Marion and Taylor County line in West Virginia. Furthermore, the law states, “The exact location of the contaminants within the zone of critical concern or zone of peripheral concern is not subject to public disclosure in response to a Freedom of Information Act request.” The law does require that emergency responders and the public be “promptly notified” in the event of a spill. It does not require, however, that the public be informed of the nature of the threat. Emergency response officials would be told as the event unfolds, though certainly not with sufficient time to garner situational awareness for developing an incident action plan. Oversight and enforcement of the law rests with the WVDEP Secretary. His or her office is responsible for conducting an inventory of the tanks which meet the law’s definitions, reviewing emergency plans, issuing permits, inspecting the tanks, establishing guidelines for tank safety, determine non-compliance, and issuing and collecting fines. Rosser raises a valid question. Why, indeed, did lawmakers take the time to declare its concern for the public health and safety of its citizens and the importance of protecting water – our very source of life – then write provisions that undermine their lofty words? Because, as usual, West Virginia is open for business. 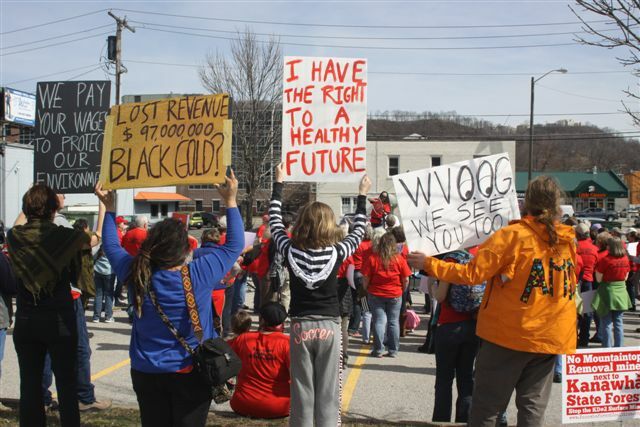 Once again, short-term profit trumps the dignity of West Virginia’s people and her resources. For the Mountain State, it is business as usual. Also, the “Preserving Sacred Appalachia” Earth Day conference is going to be this Monday and Tuesday, April 20-21 in Charleston, W.Va. This is a wonderful opportunity to be part of a community of like-minded preservationists to address the topics covered extensively on this site. Registration is open through Saturday. Learn about it and register for it here. 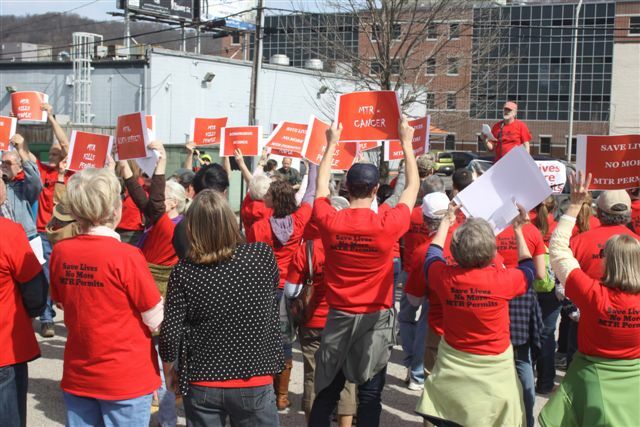 CHARLESTON, W.Va. – On March 16, a day before seven environmental groups announced their intention to sue the U.S. Office of Surface Mining (OSM) for failing to intervene on West Virginia’s lax oversight of mountaintop removal and other destructive surface coal mining, approximately 200 people rallied in front of the West Virginia Department of Environmental Protection (DEP) building to demand that it stop issuing permits for mountaintop removal. 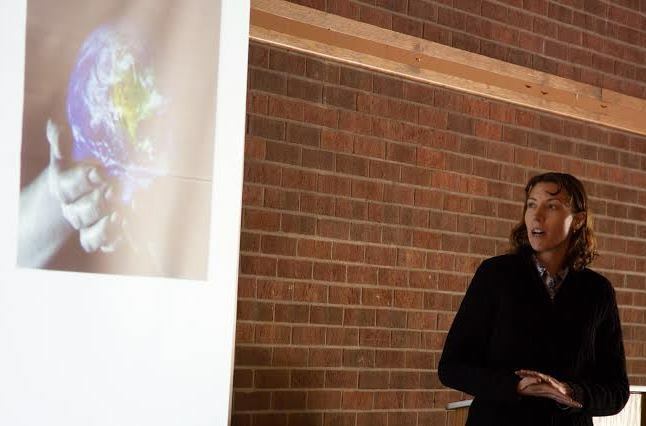 Speakers moved beyond the customary concerns about environmental impacts and alluded to several studies that show that the strip-mining practice causes lung cancer and other respiratory illnesses from clouds of fine blasting dust. 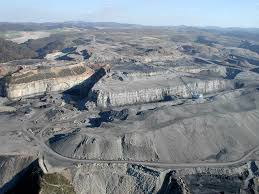 According to one study published on the United States Institute of Health webpage, “Appalachian mountaintop mining particulate matter induces neoplastic transformation of human bronchial epithelial cells and promotes tumor formation.” Additionally, the Appalachian Community Health Emergency Campaign website offers a brief video about a child needing breathing treatments because of exposure to dust clouds from a nearby mountaintop removal site. 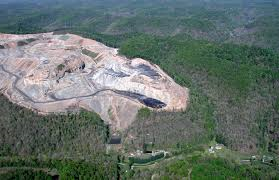 Another page, on the Ohio Valley Environmental Coalition website, provides information garnered from more than two dozen studies about the illnesses and deaths caused by mountaintop removal. Among those present or speaking at “The People’s Foot” rally were several environmental leaders, Mountain State residents, at least two groups of college students visiting West Virginia on immersion trips, a singer from Kentucky, a Charleston singer and poet, and a 10-year-old girl. Tom Breiding with Wheeling Jesuit University’s Appalachian Institute brought a group of students to the rally and was taking them to the West Virginia Coal Association office the next day. “We provide a comprehensive overview of what is happening in West Virginia,” said Breiding. Tonya Adkins, a native West Virginian now living in Kentucky, sang a song she wrote based on Revelation 11:18. The lyrics include the line, “What will they say on the judgment day when God destroys those who destroyed the earth?” Commenting upon her song, she shared, “A thread that runs through this is the poisoning of our water.” Revelation 11:18 reads, “The nations raged, but your wrath has come, and the time for the dead to be judged, and to recompense your servants, the prophets, and the holy ones and those who fear your name, the small and the great alike, and to destroy those who destroy the earth” (New American Bible, Revised Edition). Also, the “Preserving Sacred Appalachia” Earth Day conference is scheduled for April 20-21 in Charleston, W.Va. This is a wonderful opportunity to be part of a community of like-minded preservationists to address the topics covered extensively on this site. Learn about it and register for it here.